God’s way works. This is what I have been saying now for a long time. 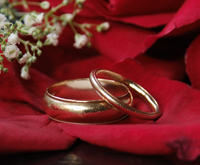 While it could apply to a number of different things, I am referring to God’s command’s about marriage, namely the roles that he has ordained for husbands and wives and the ways they are to treat each other. My husband Butch and I have come to see that living God’s way creates a harmonious and happy marriage. By the grace of God, my husband and I had a good marriage right from the beginning. Back then, we had some understanding about what the Bible says about marriage. I am sure that contributed to why things were as good as they were. Though neither of us were brought up with this biblical teaching, we had come across it in our personal Bible reading once we became Christians. We were certain that God had called us to it even though we were new to it. We were so convicted that we had 1 Peter 3:1-7 read at our wedding. 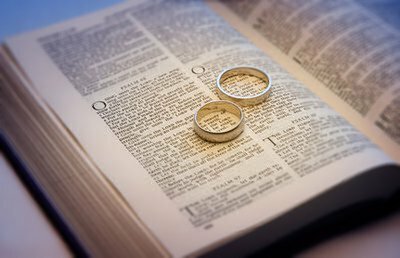 After we were married, we eventually got to hear good biblical preaching about marriage. I remember a series on the family that helped me grow in this area. Though we had some things working well, others things were not lined up with the Scriptures as much as they should have been. For example, I had the concept in my mind that my husband was my head; however, I mostly viewed submission as something that came into play when we were on opposite sides of a big issue and a tie breaking vote was required. I was prepared to let my husband cast that vote. I was not mindful of submitting as to the Lord, in everything. In time, my husband and I began to understand God’s way better. Our conviction to follow God’s design for marriage grew stronger when we began to study the Scriptures about marriage, headship, and submission more deeply. We loved to study God’s word. Still do. These subjects were hard to ignore because they were so relevant to our lives. It was important to us to work at understanding them better. The change did not happen overnight. In fact it was not an easy process. It took time for what we were learning to sink in and take root in all areas of our relationship. We made mistakes and had to reassess every now and then. Just because you know you should do something doesn’t mean you know how to do it or do it well. For one thing, I was not always ready with the right heart attitude. I also had some old ideas I needed to bring in line with the Scriptures. Thankfully, with help from God’s word and his work in us, we did better with time; and things just kept getting better. Things are not perfect, but they are wonderful most of the time. We are closer and happier now than when we were first married. We give God all the glory for this. It happened because his way works. Through all our studies and from seeing the benefits in my own life, I have come to cherish biblical headship and submission. Mostly I love them because it is God’s will and my heart delights is following him. Not too long after I began really digging into this topic, I found that I wanted to discuss it with other Christian women so that they might also see the joy and benefit of obeying God in this matter. This desire led to teaching classes at church, becoming involved with outreach online, reaching out to others on a one on one bases, and eventually the making of this website. I take the call of Titus 2:3-5 to heart. I see it as my responsibility, and I am happy to answer it. I believe in God’s way, and it is my prayer that other wives may come to embrace it more fully. Marriage is an important subject that is worth studying for all Christian women and men whether they are married or single. God has chosen it to be a picture of Christ and his church. But even before that, God used the imagery of a husband in regard to his relationship with his people Israel. Also, for those of us who are married, understanding and obeying God command’s for marriage can help us grow in sanctification. In doing so, we can bring glory to God because we seek to obey him and live his way. These alone would be enough reasons for us to study and honor marriage, but there is the added benefit that doing so can improve our lives. If you have not had the opportunity to really do your homework on the subject, I encourage you to do so. Of course not all marriages are the same. They each come with their own challenges and weaknesses and strengths, but God’s design applies to all Christian husbands and wives and can bless all couples. Yes, it works best when both spouses equally strive to live their roles as ordained by God. That is the best case scenario and life often does not line up that way. But as Christian wives, we are called to obedience in this matter regardless of our husbands’ efforts in it. I do not in any way minimize the difficulties that can arise when things are out of balance, but I still believe seeking God’s will in this is the right thing to do because it always is.